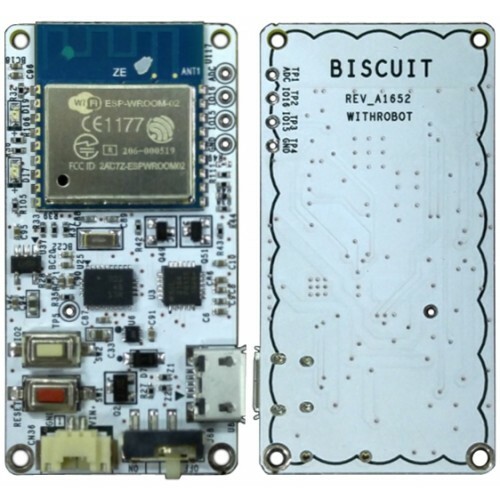 The Biscuit™ is an integrated module consisting of 3 dimensional motion sensor and Wi-Fi communication module. The 3 dimensional motion sensor includes Accelerometer, Gyroscope and Geomagnetic sensor. The Biscuit™ provides 3-axis absolute orientation in the format of Quaternion, Euler Angle or Rotation Vector as well as Linear Acceleration, Gravity, Heading and Temperature. The Wi-Fi module has an inherent micro controller unit (MCU) on which users can download their own programs developed on separate development environment (IDE). The Biscuit™ can be operated using USB bus power or battery to be used as an independent device untethered to a host.